Working on Videos, Getting Ready for Holiday Orders! Order Early! We’ve been trying to do some short videos showing how to use our various atlatls. 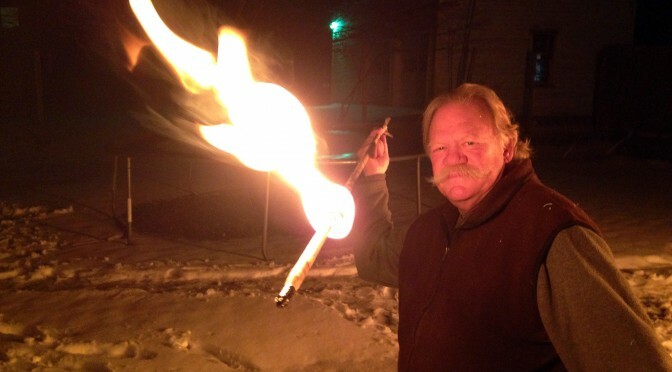 Check out Thunderbird Atlatl’s You Tube channel to see the videos. One of them is posted below. We will be posting more over the next few weeks. Meanwhile, we are trying to gear up for holiday orders. Order early to get the best options for your holiday gift giving. We had a busy season traveling and are glad to be back at the shop. As usual we met a lot of great people on the road and it’s always great to see old friends and fellow atlatlists in our travels. The photo below is from a workshop Bob Berg did in May through the Primitive Pursuits program in Ithaca, NY. Start an Atlatl Club! Check out some of our videos! 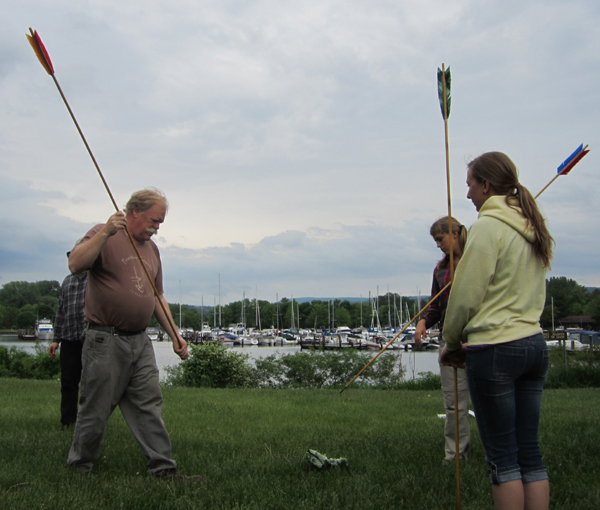 Casting an atlatl is great fun but it’s even more fun with other people! We have had some customers recently ask if there are other people in their area interested in the atlatl. 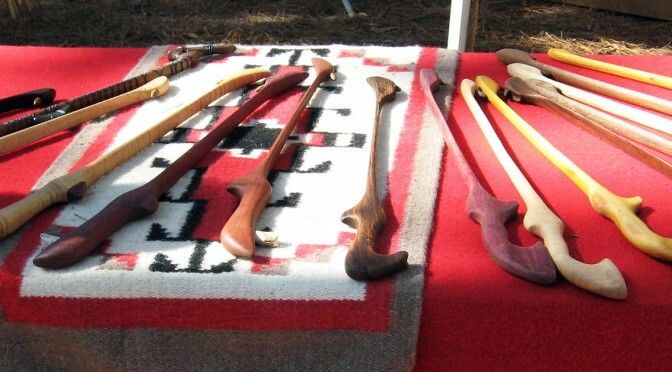 If you are looking for someone in your area who is also using an atlatl, give us a call at 800-836-4520 and we would be happy to try to connect people. You can also start your own group. There are several college atlatl clubs and regional groups who get together to share atlatl fun. We have group package rates for both our finished atlatls and darts and our kits. Just call us at 800-836-4520 and we’ll help you get started. We have been working on updating our You Tube channel, Facebook page and our online catalog. These are all still works in progress but check out some of the videos we have updated on You Tube. We will try to post them on this page too. Many of thee are from programs we have done over the years. Thanks to Peter Berg for helping us update the You Tube videos! We think our new online catalog is easier to use then the previous catalog but we are still trying to perfect it. If you have any questions, give us a call at 800-836-4520. You can always order over the telephone too if you are having problems with the online catalog. 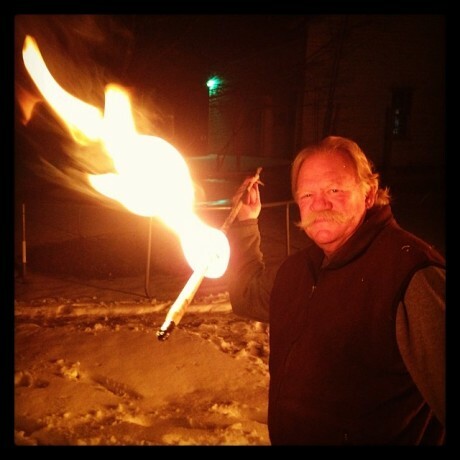 Check out this video from a program Vermont Public Broadcasting did with Bob Berg of Thunderbird Atlatl a few years back.